SINGAPORE, Nov. 8, 2018 /PRNewswire/ -- Cryptocurrency's sharp bull-bear reversals over the last nine years have made for a dizzying investor experience. The unruly digital money has leaped from zero to $200 billion capitalization and minted tens, perhaps hundreds, of thousands of fresh millionaires, and an unknown number of paupers. In 2017 alone, Bitcoins surged from $1,000 to more than $10,000 each, only to fall back to earth again and again this year. As shock protection, Coinchase, a new blockchain crowdfunding platform that bills itself as a "community-focused platform" in the spirit of Kickstarter® and Indiegogo®, has announced Break and Return Insurance© for users who participate in the crowdfunding of its projects. If the average price of a project's token falls below the crowdfunding price in the first 48 hours of the first exchange listing, users can choose to notify Coinchase for 100 percent restitution of their investment. Coinchase's consumer-orientation is their response to the roller-coaster cryptocurrency market. They insist on backing only high-quality, deeply researched projects and conduct a rigorous due diligence on all proposals brought to them. Project parties are required to participate in the policy, with Coinchase collecting fees from the projects to return to participants in the form of various user incentives. Each contributor along the way receives stipulated fractions of the fees. Coinchase is registered in the Republic of Singapore, ranked as The World's Smartest City and the Most "Technology-Ready" Nation as well as a global hub for education, innovation and finance. 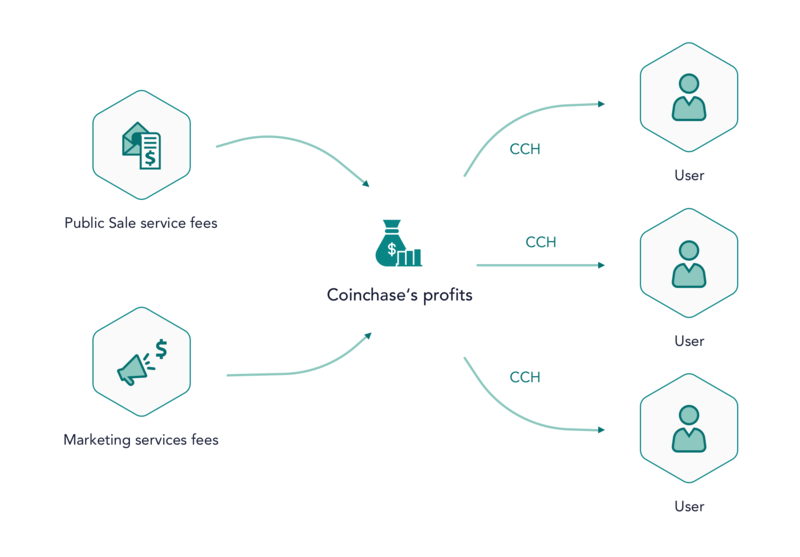 To incentivize crowdfunding participation, Coinchase rewards users with CCH (Coinchase tokens) from service fees. Coinchase is completely free for community users. No charge to participate or buy in. No transaction fees. Coinchase provides a user-friendly interface with aggregated information on all projects. This helps users gain a holistic understanding of how to make smart investment decisions. Users are also free to voice their opinions. Blockchain projects seek supporters from the earliest stages. Coinchase offers everyone — institutions, retailers, amateur investors — the opportunity to profit from this revolutionary technology. Coinchase believes that the value of high-quality blockchain projects will gradually increase with the constant flow of new supporters. Thus, Break and Return Insurance© is a means of insurance. What truly encourages user support, though, are the projects themselves. Coinchase's goal is to connect project initiators (core members) with supporters (early buyers). It is the Kickstarter for cryptocurrency. Users have the choice to become Coinchase members, as opposed to simply general users. Members will enjoy exclusive benefits and receive first-hand, detailed information about new blockchain projects. Coinchase encourages each member to participate and support blockchain project crowdfunding by sharing rewards in the form of CCH tokens (Coinchase tokens). 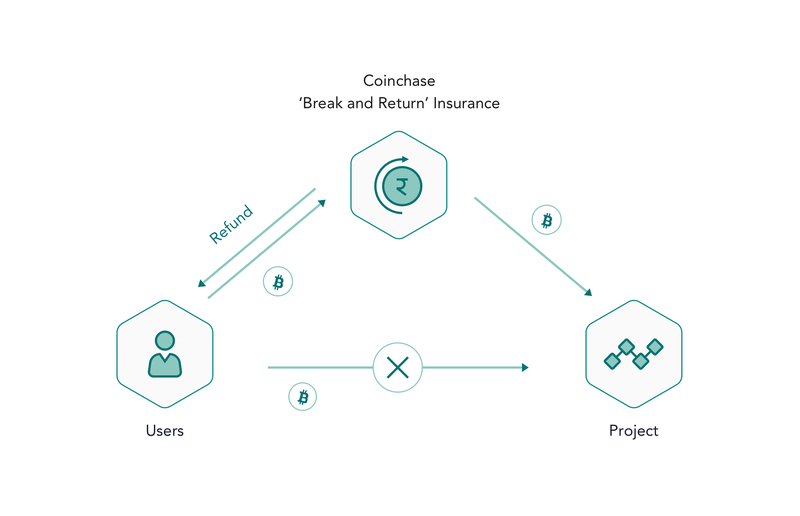 In order to protect participants in bear market, Coinchase stands by the users' side and asks project parties to participate in Break and Return Insurance©: If the average price of a project's token falls below Public Sale price in the first 48 hours of the first exchange listing, users can choose to be refunded by Coinchase. Coinchase shares its profits with early participants by Coinchase Token (CCH). Coinchase rewards participants with CCH Tokens. Coinchase grants users membership status when they expend a certain amount of CCH.